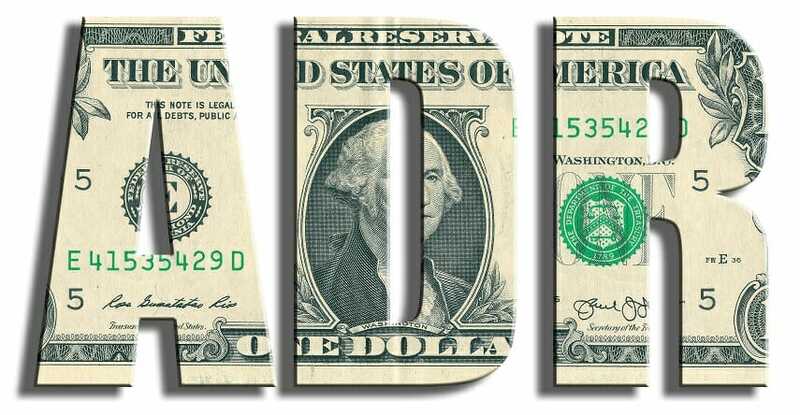 What are American Depositary Receipts (ADR)? American Depositary Receipts (ADR) are negotiable security instruments that are issued by a US bankTop Banks in the USAAccording to the US Federal Deposit Insurance Corporation, there were 6,799 FDIC-insured commercial banks in the USA as of February 2014. The country's central bank is the Federal Reserve Bank, which came into existence after the passage of the Federal Reserve Act in 1913, and they represent a specific number of shares in a foreign company that trades in US financial marketsPrimary MarketThe primary market is a financial market where new securities are issued and become publicly available for trading by individuals and institutions. The trading activities of the capital markets are separated into the primary market and secondary market. In these markets, securities are directly issued to the investors. ADRs pay dividends in US dollars and trade like regular shares of stockStockWhat is a stock? An individual who owns stock in a company is called a shareholder and is eligible to claim part of the company’s residual assets and earnings (should the company ever be dissolved). The terms "stock", "shares", and "equity" are used interchangeably.. Companies can now purchase stocks of foreign companies in bulk and reissue them on the US market. ADRs are listed on the NYSE, NASDAQ, AMEX and can be sold over-the-counter. Before the introduction of ADRs in 1927, investors in the US faced numerous hurdles when buying stocks of foreign companies. American investors could purchase the shares on international exchanges only, and it meant they must deal with the currency and regulatory differences in foreign jurisdictions. They needed to familiarize themselves with different rules and risks related to investing in companies without a US presence. However, with the introduction of ADR, investors can diversify their portfolio by investing in foreign companies without using a foreign brokerage account. Investors willing to invest in American Depositary Receipts can purchase them from brokers or dealers. The brokers and dealers obtain ADRs by buying already-issued ADR in the US financial markets or by creating a new ADR. Already-issued ADR can be obtained from the NASDAQ or NYSE. Creating a new ADR involves buying the stocks of the foreign company in issuer’s home market and depositing the acquired shares in a depository bank in the overseas market. The bank then issues ADRs that are equal to the value of the shares deposited with the bank, and the dealer/broker takes the ADR to US financial markets to sell them. The decision to create ADR depends on the pricing, availability, and demand. Investors who purchase the ADRs are paid dividends in US dollars. The foreign bank pays dividends in the native currency, and the dealer/broker distributes the dividends in US dollars after factoring in conversion costs and foreign taxes. It makes it easy for US investors to invest in the foreign company without worrying after conversion costs. The US banks that deal with ADRs require the foreign companies to furnish them with their financial information, which investors use to determine the company’s financial health. The ADRs that are sold in US financial markets can be categorized into sponsored and unsponsored. For a sponsored ADR, the foreign company issuing shares to the public enters into an agreement with a US depositary bank to sell its shares in US markets. The US bank is responsible for recordkeeping, sale, and distribution of shares to the public, distribution of dividends, etc. Sponsored ADRs can be listed on the US stock exchanges. A non-sponsored ADR is created by brokers/dealers without the cooperation of the foreign company issuing the shares. Non-sponsored ADRs are traded in US over-the-counter markets without requiring registration by the Securities and Exchange Commission (SEC). Before 2008, any brokers and dealers trading in ADRs required written application and paper submissions before being allowed to trade in the US. The 2008 SEC amendment provided an exemption to foreign issuers that met certain regulatory conditions. Non-sponsored ADRs are only traded on over-the-counter markets. ADRs are grouped into three levels depending on the extent of the foreign company’s access to the US trading market. Level I is the lowest level that sponsored ADRs can be issued. It is the most common level for foreign companies that do not qualify for other levels or those do not want their securities listed in US exchange markets. Level I ADRs are subject to the least reporting requirements with the Securities and Exchange Commission, and they are only traded over the counter. Such companies are not required to issue the quarterly or annual reports like other publicly-traded companies. However, Level I issuers must get their stocks listed in one or more exchange markets in the country of origination. Level I can be upgraded to Level II when the company is ready to sell through the US exchange markets. Level II ADRs have more requirements from the SEC than Level I, and the company gets an opportunity to establish a trading presence on the US stock markets. The company must file a registration statement with the SEC. Also, the company must file Form-20-F in accordance with the GAAP or IFRS standards. Form 20-F is the equivalent of Form-10-K submitted by US publicly traded companies. If the issuer fails to comply with these requirements, it may be delisted or downgraded to Level I. Level III is the highest and most prestigious level that a foreign company can sponsor. A foreign company at this level can float a public offering of ADRs to raise capital from American investors through US exchanges. Level III ADRs also attract stricter regulations from the SEC than the other categories. The company must file Form F-1 (prospectus) and Form 20-F (annual reports) in accordance with GAAP or IFRS standards. Any materials distributed to shareholders in the issuer’s home country must be submitted to the SEC as Form 6-K. Examples of foreign companies that managed to enter this ADR level include Vodafone, Petrobras and China Information Technology. ADRs are subject to cancellation at the discretion of either the foreign issuer or depositary bank that created them. The termination results in the cancellation of all ADRs issued, and the delisting from the US exchange markets where the foreign company was trading. Before the termination, the company must write to the owners of ADRs to surrender their certificates or do nothing. The owners can swap their certificates for foreign securities represented by the receipts. If the owners take possession of the foreign securities, they can find brokers who trade in that specific foreign market. If the owner decides to hold onto their ADR certificates after the termination, the depositary bank will continue holding onto the foreign securities and collect dividends but will not sell more ADR securities.